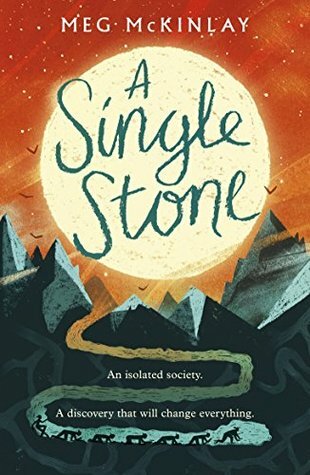 Jena is in charge of the line, a group of seven girls who twist their bodies into the narrowest of cracks in order to crawl into the mountain in search of the stone their village needs to stay alive throughout long winters. In order to join the line you must be small so families are delighted when their baby daughters are born tiny. For those who are not born small, the Mothers of the village can perform surgery to help decrease a girl's size. Being part of the line is a privilege but it is also advantageous since families of the line get an extra share of the mined materials which can mean the difference between life and death when snowed in during the winter. Jena's natural parents are both dead but she has a loving home with a good friend. When her adopted mother has an extremely small premature baby, Jena overhears some comments and gets some information that makes her begin to question the Mothers' tactics and what is happening in their village. Mining and tunneling already give me the creeps but the vivid descriptions of the spaces "the line" go into in this book made it hard for me to breathe. The mystery of what has happened with Jena's mother and father is carefully revealed along with the truth of the Mothers as the book builds with a slow burn. This is a messed up society where the author trusts the reader to be appropriately shocked without any sensationalism.